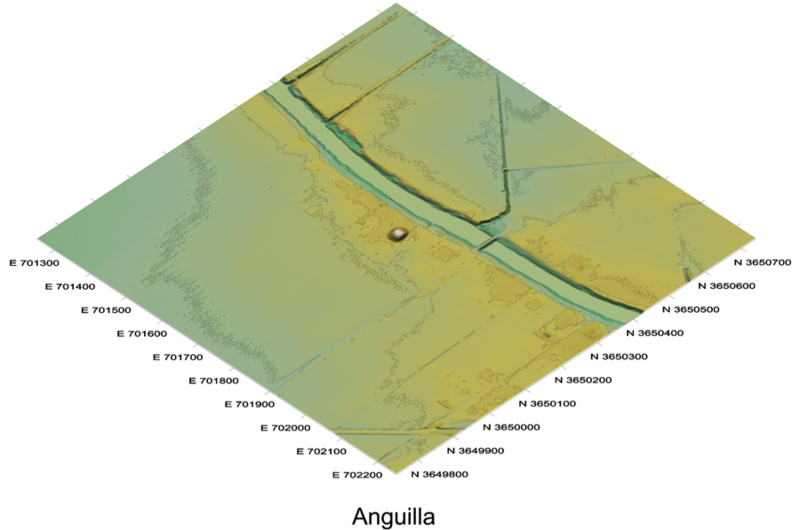 The Anguilla Site consists of a single rectangular platform mound located on the south side of Deer Creek. The mound is currently 20 feet in height, but originally may have been taller. It has sustained some damage from a historic cistern that was dug into its surface and later dismantled. The mound was built by Native American people during the Late Woodland through Middle Mississippi Periods, between AD 1000-1400. 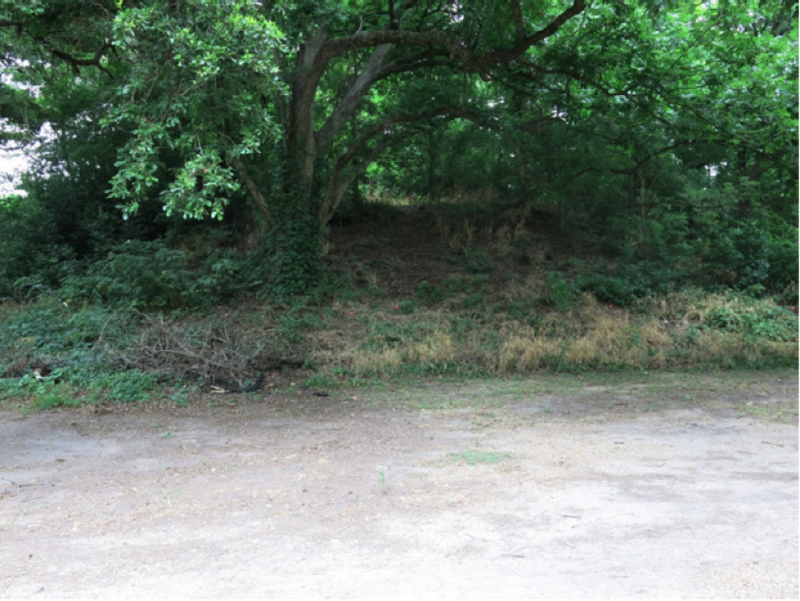 Professional archaeologists excavated a portion of the north slope of the mound in 2013. They found that it was built in stages using a technique called basket loading. They also found one building associated with the mound as well as pottery and bone artifacts. The building remains indicate that someone was living on top of the mound, probably an important political or religious leader from the town.